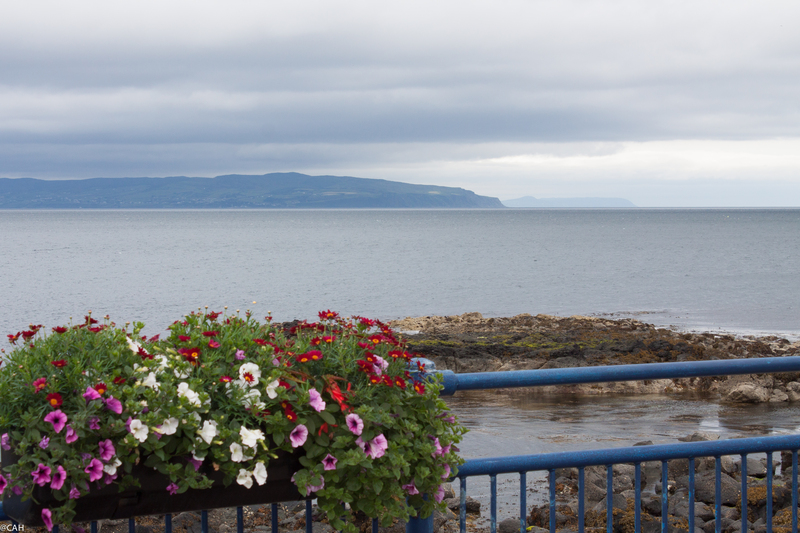 On Friday we set off for Portstewart and the art gallery. We had a coffee and a chat with the proprietor who had been a social worker in a previous life. The conversation ranged from social work, politics, old maps and books to his wife’s health. We eventually settled on a sixteenth century map of Ireland. Unusually it is not orientated north to south as back then, maps were orientated towards Jerusalem. 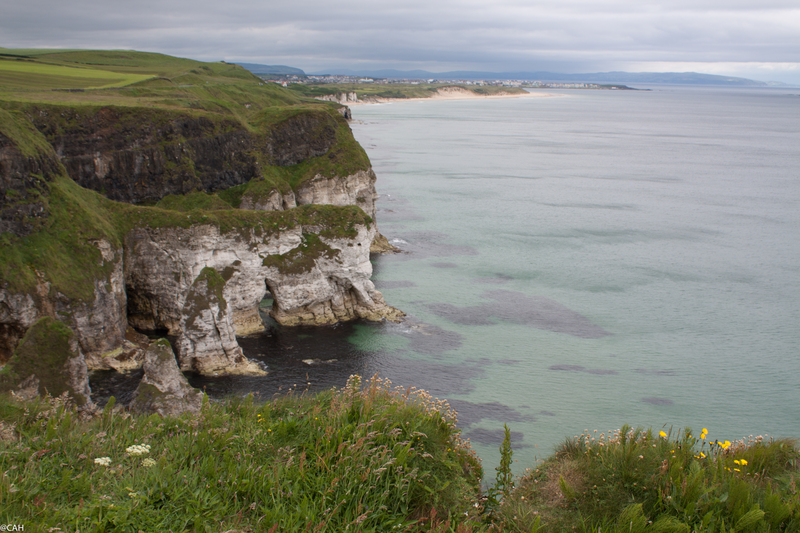 After a saunter along the seafront and another coffee we visited some relatives and then set off for Portrush. We had a look in the secondhand bookshop there but found nothing of interest on this occasion. 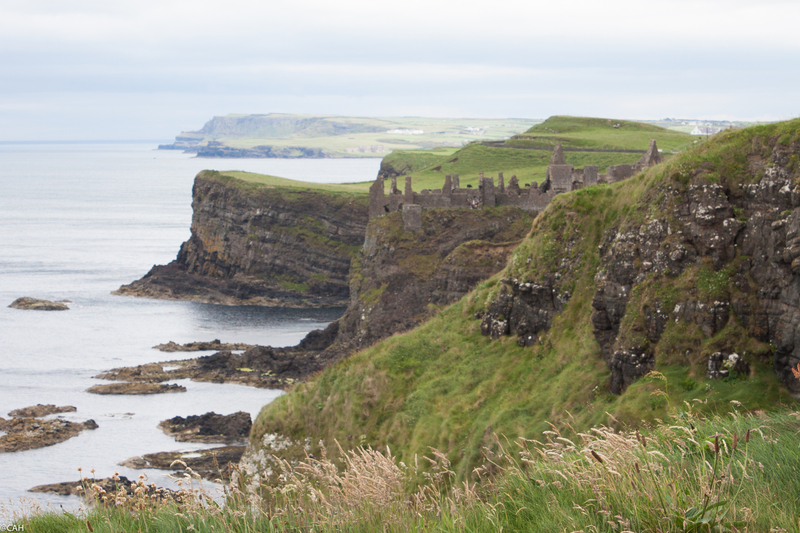 We then carried on along the coast past White Rocks Beach (for exploring on another trip) and Dunluce Castle, a ruin. It was then time to turn inland to Bushmills where the bookshop has closed and take the obligatory photographs of the distillery. In the evening we took James’s parents out for a meal at one of the coastal hotels. Despite the calm sea, there were some people trying to body board on almost non-existant surf. We spotted a sign for coastal trail which requires further investigation as a possible walk at some point.